One of the things I’ve noticed hanging around in church on and off the last 20 years or so is that it often seems to be the case the church leaders seem to value some people as leaders more than others. Specifically, it seems to me that church leaders prefer to put athletes and cheerleaders into leadership positions, and they tend to be skeptical of people who have intellectual conversion stories, and intellectual interests. I think I actually got the phrase “jocks and cheerleaders” from Dr. John Mark Reynolds when describing who churches tend to prefer, so I’m not just making this up. But not everyone sees things that way. Of all the people I’ve met or read, I probably agree with Terrell Clemmons the most. And if I disagree with her, then I usually find out that she is right later on. Pretty much everything she writes about is not only relevant, but practical, which is amazing for a person who writes about topics related to Christian belief and practice. One of the things she likes to write about is the background stories of people who were intelligent and successful as non-Christians, who then went on to become Christians through a careful study of the evidence, and then went on to make a difference through outward-focused enterprises. Let’s start with this article from Salvo Magazine about a successful atheist lawyer named Michael Minot. The seismic shift had started quite unexpectedly just a few months prior. He was three years out of law school, and life was great. After years of living on beans and weenies as a student, he had arrived on the scene of success. He had a growing law practice, money in his pocket, and a teeming social life. The world was his oyster. To say Mike was taken aback would be an understatement. He was a perfectly contented atheist, and he had no interest in interrupting his prosperous life to look at anyone’s answers to questions he wasn’t even asking. But he did value the relationship he had with Jim, Sharon, and their two adorable kids. If he were to summarily dismiss this suggestion, what would that do to their friendship? It seemed he should at least put forth a cursory effort, if for no other reason than for the health of the relationship. First thing to note is that the people who ask Michael to give Christianity a look are successful and intelligent themselves. Not only is Jim studying for the Florida bar exam (so that he has credibility to another lawyer), but Jim’s wife has also given him more credibility by marrying him. Married couples are typically more “grown-up” than singles, and I’m saying that as a chaste single myself who has been successful in education, career and finances. Marriage requires a whole set of behaviors from people that singles don’t have to perform. The point is, though, that Michael is being approached by people from the same professional and social background. He is not being approached by a missionary or a street preacher, but by someone who has been effective in their education, career and marriage. This really does matter – Christians are often perceived (rightly) as over-emotional, irrational, impractical, and driven more by community than by truth-seeking. It’s very important for Christians who want to produce a return that they not be living with their parents in their 20s, have gap-filled minimum-wage resumes, have $20,000 in student in outstanding student loans from an easy, unused non-STEM degree, and no achievements except zip-lining, skydiving, surfing, and fear-of-missing-out travel. With no predetermined plan, he delved into both the Scriptures and science. The Scriptures felt intimidating, though, and he was more comfortable with science. Not two weeks in, he found something that totally blew his mind. Ironically, it was something that had been there all along: the solar system—and the mind-boggling precision by which it operates. He marveled at the elegant complexity of it. It appeared way too precise, statistically speaking, to be an accident. Suddenly, this was no longer a casual exercise. He had to find the natural explanation for the solar system. If he continued on his merry life without it, he would forever live plagued by lingering thoughts that he could be living a lie. Never did he want to go in for a lie, and intellectual honesty demanded that he keep searching. So he put on his miner’s lighted helmet, so to speak, and went to work. But instead of locating the natural explanation for the solar system, he found himself turning up all manner of equally troublesome phenomena—the fine-tuning of the earth for supporting life, with its balance of nitrogen to oxygen ratios and plate tectonics; the information content of DNA; and the complexities of animal and human life, to name a few. The perplexities mounted, and the whole project snowballed. He would go looking for the explanation for one natural marvel, only to encounter two more crying out for explanation. If I could communicate one thing to the church, it would be this: whether you agree with the old universe and old Earth timelines or not, everyone who attends church for a decade should be able to state the kalam cosmological argument, the fine-tuning argument, the intelligent design argument, the fossil record argument, and the habitability argument, to the degree where they are naming scientists, discoveries and specific books where the evidence for these arguments are laid out. Unfortunately, thanks to the “leadership” of many prominent fideist pastors, many Christians have adopted an attitude of outright suspicion to science, preferring instead to pre-suppose the truth of the Bible by blind faith (“the burning of the bosom”, as the Mormons say), and refusing to study anything outside the Bible that might establish the necessary prerequisites to taking the Bible seriously. Successful non-Christian professionals looking to evaluate Christianity, this blind-faith approach is rightly seen as anti-intellectualism. Other complications did follow, though. He had trustingly believed teachers and authorities who had taught that everything could be explained naturalistically. What else, now, needed to be reexamined? This went beyond science and philosophy to sociology, psychology—everything had to be rethought according to this completely new paradigm. He would later liken it to being planted on a whole new planet. And his entire social life collapsed in a matter of weeks. But he joined a church, and it became his new social center as well as his spiritual lifeline. He volunteered to serve as a jail chaplain in the evenings, a post he filled to great satisfaction for fifteen years. He met his wife Nichole at church, and they went on to adopt five children. Life settled into a richly rewarding concert of family, jail ministry, and law. Nothing he’d ever envisioned back in his atheist days could match the prosperity of these blessings. At first glance, it may seem ironic that an atheist committed to seeing everything through the “lens of science” would come back around to see God through the lens of science. But the truth is, it wasn’t science per se that had hidden his Creator from view. Rather, it was the lens of philosophical naturalism imposed onto science—both in education and throughout the broader culture—that had fostered and fueled Mike’s unchallenged atheism. Naturalism is a philosophy – a philosophical assumption. It’s not science. The origin and design of the universe are science. DNA is science. Habitability constraints are science. The sudden origin of major body plans in the fossil record is science. There are no scientific arguments for atheism. There’s just speculation driven by naturalistic philosophy. In the end, Minot turns his life around 180 degrees, and puts his intellect and professional abilities to work for the gospel. You can read about all the ways he is making an impact in Terrell’s article in Salvo Magazine. Always remember stories like these when you are making decisions about your own education and career. God is still working, still reaching out to people through science and history, appealing to their minds for a fair hearing, and then asking for their best efforts for the gospel of Jesus Christ. Evidence and facts are what brought me to the Truth; I wish churches did more apologetic activities. 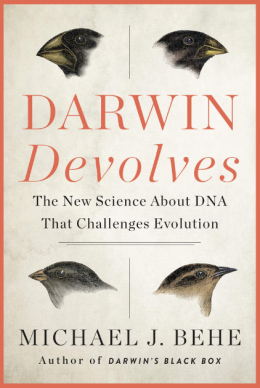 Like this story, I was a lawyer, but Catholic (in name only), and a paperback discussing evolution printed the odds of the data lining up, and the “1 out of …” went on for pages of zeroes — scientific impossibility was 10 to the 50th power, and these went far beyond that. I was intellectually convinced. Anything else is subject to the whims and fancies of feelings. It would be great if you could publish an outline of the areas you mentioned, so that this list could be kept handy and referred to regarding the various arguments that all of us need to keep current about. I tend to forget some details of the Kalam argument, and a bullet point list would be great. That’s a great idea, I should! I do understand that people can come to faith through proofs. However, conversion is of the heart and not of the mind. God said circumcise your heart. He said, I will write my Law upon your hearts….the new creature, which is in Christ, is formed “spiritually”, not intellectually. People witnessed to me, and I read, but it wasn’t until I had a spiritual revelation that I came to Jesus. Some men plant, others water, but God gives the increase. If we only see God on the intellectual plane, then we are missing the spiritual. There is no intellect in the Holy of Holies except the mind of God. For many years, I thought you could read and know the Bible like any other college textbook, but God woke me up. It is a book that is “spiritually discerned”. The apostles, the disciples were primarily unlearned men. Yet they knew In the name of Jesus Christ of Nazareth, rise up and walk. Paul, the most learned among them, said, I don’t want to know anything among you, except Christ and Him crucified. Mental conversion is concomitant with spiritual, as Jesus about how the thoughts of a person have consequences. I see the mental coming after the Spiritual. People are filled with the Holy Spirit and then their minds are renewed, regenerated. The Bible does not say we are converted to Christ through our intellects. If there is a person who understands the nuances of Greek, Hebrew, and Aramaic, it would be helpful to know how the words we use, such as “heart,” are actually meant in the original tongue. If all of this intellectualism is required of Christians, why did the Apostles, the men Jesus selected to trust with the Gospel not utilize it? I don’t see that anywhere displayed in the Book of Acts or in the epistles. It’s good to study the scriptures to show oneself approved, but we do not need anything external to the Word of God to know Him. I can know Him through the power of HIs resurrection, through the faith that I have in Him. Reason can sometimes actually thwart faith. Our minds, our senses tell us some things are not possible (can a man enter into his mother’s womb again?) while faith says, anything is possible. Intellectualism is required of Christians. Emotions alone do not evidence conversion. In fact, emotions can hide a failure of conversion. The modern church’s fixation on emotions in conversion is responsible for the church’s failure with men. This forum is too limited to have a thorough analysis of the share of the intellect in conversion. I know you are thinking, however. God guide us all. Well, I think that limits God and what you areally essentially saying is that only intellectual people can be saved. I guess the twelve apostles wouldn’t make c it to your heaven. Thank you, but I know what the Bible says. I dont see anything in the Bible about the disciples having to know intellectual things in order to be saved. It’s not described there. IN fact, Paul said God makes foolish the wisdom of the wise. He used foolish things to confound them. Like donkeys talking and virgins conceiving. Not very rational stuff there. Okay, tell me how you determine what is your mind (intellect) and what is your heart? MInd is intellectual, it’s thoughts, even high thoughts. Heart is nature, it’s soul, it comes from your most inner being. Deep cries unto deep. Groanings that cannot be uttered. When I had the revelation of Jesus, it wasn’t even like a thought, it was something that pervaded my whole being, like having a thousand lights on inside myself. A vision takes on a reality that cannot be encapsulated in thought. That’s because it comes from beyond your mind. Interesting that this verse concerning the working of the Spirit on our hearts uses the actual word for heart, cardia. I’m not saying the soul resides within our physical heart, but it is separate from our mind. Our mind will die. Our brain will die. But our soul will live forever. 1 Corinthians 1: 18 For the preaching of the cross is to them that perish foolishness; but unto us which are saved it is the power of God. By the way, I read Kalam’s cosmological argument and understand it. It’s the basically saying the same thing as Romans 1 and other scriptures that state Creation points to the existence of God. Amen. All creation declares the glory of God. As our gracious host, Wintery Knight notes so often, scientific discoveries continue to erode the claim of arbitrary chance as a reason for life. I confess that I have read this, and it’s very technical. I do not understand what it is saying. I do understand the scripture that says faith is the substance of things hoped for, the evidence of things not seen. I do understand that God is, and that He is a rewarder of those who diligently seek Him. Men have followed after things they didn’t even understand, but were moved by faith. Noah built an ark, even though he had never seen it rain. Abraham left his people and went out, not knowing where he was going. Trust is the bottom line of faith, because there is so much we don’t see, but we do know in our hearts. Jesus said blessed is he who believes and has not seen. Wow, what you are saying is that some people are intellectually limited — each person can think. We should not draw lines based on IQ. I do not believe that there is an IQ line drawn on the basis of thinking, I just know that God does reach us through our minds. I am a testimony to that. I don’t see kalam’s cosmological argument described in Holy scriptures. See my post above. My argument was that intelletualism is not described by the apostles or by Paul in relation to salvation. Acts 4:13 actually says in the Greek that Peter and Peter and John were idiotes, idiots, rude or ignoramus according to Strong’s, in addition to being unlearned. So, Peter and John who the chief apostles other than Paul were described in such as way as to lead me to believe they were anything BUT intellectual. I doubt they would have understood cosmological arguments or rationalistic thought. But they understood the power of the transfiguration and the resurrection of Jesus Christ. How rational is somehow being raised from the dead? I can guarantee you by what I have read in the New Testament that the people who were won, even among the Gentiles, who were given to wisdom, that they were not won through logic, but rather through the demonstration of the power of God. Earthquakes breaking open prison doors, men being released from chains and escaping jails, dead men brought back to life. Two people falling dead at the apostles feet because they lied to the Holy Spirit which brought fear upon them all. Why did this bring fear? Logical things don’t bring fear. It’s things that are beyond ourselves that bring such fear, because we know men cannot do these things. God doesn’t move according to what we think of as rational. How rational is it that a man would purposefully die for people who aren’t worth a hill of beans because they’ve wrecked their lives because of sin? I agree that miracles have been the evidence that some need to come to the Truth. However, I believe one perceives miracles through one’s mind primarily — how else could they determine that it was a miracle? So, I believe (just don’t have time to go through the Scripture) that the mind is a critical part to be a true follower of Christ. I appreciate the info you have shared with me. Your heart has given you a worthy mind. I’m not saying the mind isn’t involve at all. Obviously, as you say, we do have to perceive. However, my concern is expecting the things of God to follow a prescribed format, rationalism, a logic. Gods ways are far above our ways so that our limited minds can’t begin to fathom the way God thinks. I was thinking of faith this morning. Faith tells us to believe in things when we don’t see them. Abraham went out from his people to a place he didn’t know of because he had faith that God would supply. He had faith to consider the offering of his own son as a sacrifice. How many people would have the faith to do THAT? Faith can often lead us to do things that people would find irrational. I certainly don’t deny that we can know something of God intellectually. That’s called knowing Him in truth. But we also have to know Him Spiritually through the revelation of who He is within ourselves. And I don’t invalidate anyone’s knowledge of God. I would enjoy hearing your experience. I loved Don Bierle’s Surprised by Faith. Have you ever read that? He’s a scientist, and was an atheist. He decided to examine the Bible as a document from a scientific point of view and ended up a believer. I could not tell you for my life what Kalam’s cosmological argument is, but I can tell you that I once was in a black tomb of despair of life and that one day Jesus Christ exploded in a revelation in my being. Now, you may call that “feelings” that are irrelevant, but I can tell you that after 24 years of being in severe depression, my depression was healed. I can tell you that I have been healed many times of various afflictions. Paul said that the Gospel is the power of God unto salvation, not our minds acceptance of Him. The mental process is only the beginning. Someone told me about Jesus, but I don’t take man’s word for anything, because men are fallible. I went to God in prayer and prayed for Him to show me truth in His Word. That began the process of the being born again of the Water and of the Spirit. I do not see in the New Testament where mental acceptance brings the Spirit of God. I do see where the Spirit of God is poured out on those who receive Him in their hearts as well as their minds. Our reason is a component of our natural man, not the spiritual. @Greg, I’m not saying that every day we experience the Gospel is like that, but there certainly can be many powerful experiences. Jesus said you shall receive power when the Holy Ghost is come upon you. The Greek word for power is dynamis, where we get the word “dynamite”. Jesus’ power can be explosive and earth-shattering. If you read the Book of Acts, it’s one explosive thing after another. I can imagine how these things boggled their mental perceptions. Paul & Silas singing at midnight and an earthquake comes; Peter in prison and an angel releasing him from chains; Roman governors having to assemble an army to prevent Paul from being kidnapped, taken. The Romans had their little world of order and it was being shaken apart by forces they couldn’t comprehend. That’s what is happening now. There are forces right now shaking our little world apart. And I’ve only experienced a small part of that power, but what I have experienced has been powerful. Looks like the comments have set up a false dichotomy between evidence and miracles. Jesus himself when John asked whether he is indeed the Messiahresponded by saying if John does not trust what He says then he should look at the miracles Jesus performs as evidence and proof that Jesus was who he claims. The greatest evidence of the truthfulness of Christianity is the resurrection, an argument Wintery has written about at length numerous times before. In fact in Acts this is what you see the disciples claiming – Jesus is the Son of God as proven by his resurrection. Paul reasoned with the Jews from the scriptures trying to prove to them Jesus is the messiah. Within our modern context there are things we cannot take for granted in evangelizing such as whether God exists or not. We would have to persuade and give reasons for why God exists first before moving to the particular evidence for Christ. Indeed we agree that Holy Spirit ultimately brings conversion – miracles do not guarantee conversion anymore that arguments or stating what the Bible says. Thank you so much for writing this clarifying comment. I would also say that when scientists look at things like the origin of the universe and fine tuning, they are looking at evidence of past miracles that we know from nature.